Elsevier offers a special rate to our members. Visit our Library to get the special discount code. The Global Harmonization Initiative (GHI) has released a global science-based consensus document about the application of irradiation of food. This consensus is needed because of the current confusion around safety of food that has been irradiated to prevent spoilage. After consultation with the GHI membership, the authors (Tatiana Koutchma, Larry Keener and Heidi Kotilainen) summarised the state-of-affairs and the consensus document can be downloaded from the GHI website. GHI recommends that international regulatory bodies accept the finding of the Joint FAO/ IAEA/ WHO Expert Committee on Food Irradiation (JECFI) first published in 1981 and adopted by the FAO/ IAEA/ WHO Joint Study Group High-Dose Irradiation in 1999. More information about GHI and the global scientific consensus process can be found on the GHI website. The Global Harmonization Initiative (GHI) is pleased to announce the re-launch of its new, redesigned website, along with Facebook, Twitter and LinkedIn channels. The new web portal goes live today, and is located at the same internet address, www.globalharmonization.net. Visitors will experience a more intuitive website, with improvements to its design, content and navigation. 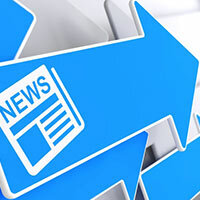 The mobile-friendly website offers easy access to information about GHI and its working group activities, conferences and meetings, and other news and developments. Many traditional foods provide excellent nutrition from sustainable resources, with some containing nutraceutical properties that make them not only a source of cultural and traditional value, but also valuable options for addressing the growing need for food resources. There are, however, instances in which the processing or consumption of traditional foods may introduce foodborne illness hazards. 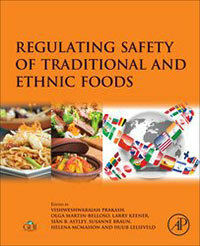 Published in December 2015, Regulating Safety of Traditional and Ethnic Foods, addresses the need for balance in safety regulation and retaining traditional food options. The book, the second in the Global Harmonization Initiative (GHI) series, is edited by GHI members and officers V. Prakash, Olga Martin-Belloso, Larry Keener, Sian B. Astley, Susanne Braun, Helena McMahon and Huub Lelieveld. Written by a team of experts in food safety, nutrition and regulatory affairs, the book examines a variety of traditional foods from around the world, their risks and benefits, and how regulatory steps may assist in establishing safe parameters for these foods without reducing their cultural or nutritive value. The first book in the GHI series, “Ensuring Global Food Safety: Exploring Global Harmonization,” edited by Christine Boisrobert, Aleksandra Stjepanovic, Sangsuk Oh and Huub Lelieveld, is also available from Elsevier/Academic Press. The book presents science-based arguments to explore the many aspects and challenges involved in global harmonization of food safety laws and regulations. GHI members qualify for a 30% discount on both books. Visit the Library:Books page at www.globalharmonization.net to download the discount code. Both books can be ordered from store.elsevier.com.